Financial planners and professional advisers who do not tackle risk management issues thoroughly for clients do the clients a disservice. Perhaps that is a little challenging to some of todays professionals, however too many advisers seem to struggle with positioning risk management in their suite of services to clients. It seems that the majority who downplay it, or ignore it entirely, do so because of their desire to avoid being seen as insurance salespeople in the clients eyes. As a result I see many financial planners and advisers who say they do comprehensive planning, yet focus almost entirely upon savings & investment areas. Let’s do a quick recap on what insurance actually is, and does, for clients. 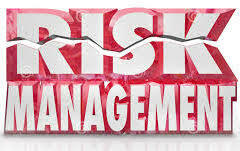 Clearly if clients can afford to retain risks then they should do so. Equally, if the risks being considered do not make sense to transfer to another party as they can be managed or mitigated or avoided entirely, then insurance is not a suitable strategy. But it should be considered in every plan in order to be sure that it is not required. What triggered this particular discussion point was a slightly testy discussion with a very experienced financial planner who adopted the position that it was not his role to consider insurance for clients. The majority of his clients were around the retirement age, and his general expectation was that he would be working with each of them on average for a further 15 years of so. His job was portfolio management and making the funds last the rest of the lifetime he said. So I asked how he goes about ensuring existing assets are protected…he replied that he does provide estate planning advice. But what about protecting the value of the physical assets NOW for the existing owners who want to continue enjoying them for 15 years or more? What about considering the impact of major medical costs….and the impact they could have upon his capital preservation strategies for the clients? Might it be that health insurance should be considered as a portfolio/capital protection strategy? 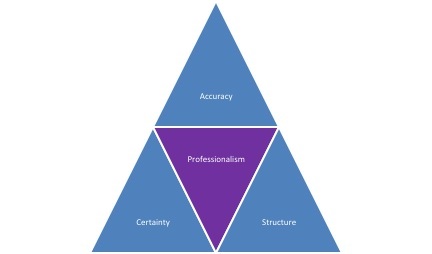 Todays professional adviser, regardless of their area of specialty, needs to create structure, certainty and as much accuracy as possible for clients I believe. Creating certainty wherever possible means being prepared to consider risks that the client faces, and then selecting the optimal strategy – even if that optimal strategy is “transfer” via insurance. Opting out of providing advice in that area because of the advisers own ego-sensitivity of “not wanting to be seen as an insurance person” does the client a disservice at the very least. Some would say it is actually unprofessional and not working in the clients best interests. 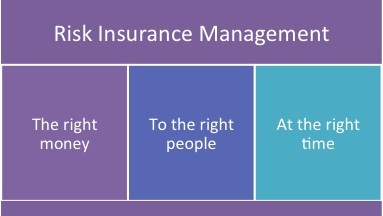 To do our work well as professional advisers all of us need to consider the areas of risk management for clients – every time. How else can we be sure we are getting close to providing certainty in some of the key areas for which they plan?